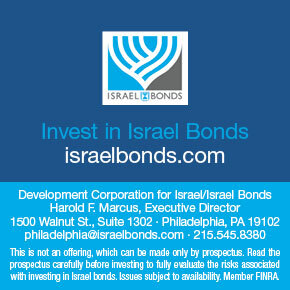 The Israel Nature and Heritage Foundation (INHF) is a nonprofit organization that supports the Israel Nature and Parks Authority’s goals of protecting Israel’s nature, landscape, and heritage. 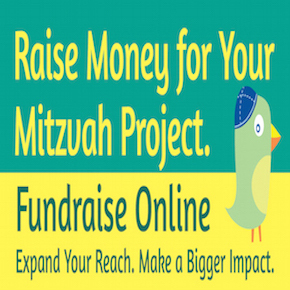 The INHF offers three great opportunities for someone’s Mitzvah Project! The first one is called Adopt a Biblical Wildlife Animal. Throughout the centuries, many species that once roamed in the biblical times have become extinct and/or struggling to survive. For the past 30 years, the INHF has supported the Reintroduction to the Wild project, which focuses on wildlife mentioned in the Bible. For his/her Mitzvah Project, a child can pick a biblical animal that needs help being reintroduced to the wild and raise funds for the cause. The three animals he/she could choose from include the Persian fallow deer (one of the animals fit for sacrifice and permitted to eat under kashrut), the Griffon Vulture (mentioned in the Bible 28 times), and the Arabian Oryx. The second opportunity for a Mitzvah Project is our Adopt a Class initiative. Its main purpose is to educate young children, especially from underprivileged backgrounds, about the beauty and treasures of the nature that surround them and encourage a connection with their local environment. Adopt a Class helps take students to different parks and nature reserves around Israel along with eco-friendly programs in the classroom. This program is tailored to the needs of economically disadvantaged children who live in Israel and is designed to be implemented among both Jewish and Arab children. A child’s Mitzvah Project can include raising funds to adopt a class where he/she can learn about what the class will experience and teach his/her community why it is important to educate and preserve the nature in Israel. The third option for a Mitzvah Project through the INHF is helping to raise money for our Sea Turtles Rescue Center Project. Sea turtles are ancient reptiles that have existed for over 150 million years, but their population has dropped throughout the past century so severely that now all species of sea turtles are internationally endangered. A student for his/her bat mitzvah can work to raise money to treat, conserve, and rehabilitate the sea turtles in the eastern Mediterranean Sea. They can help increase public awareness of the damage to the marine environment in Israel and contribute to funding the new Sea Turtle and Rescue Center in the process of being built in Israel.